There is no ‘I’ in team. But there is in Twitter. NBA stars on winning teams are more likely to follow their teammates on Twitter than their high-status counterparts on bad teams, according to a new study by the University of Cincinnati. 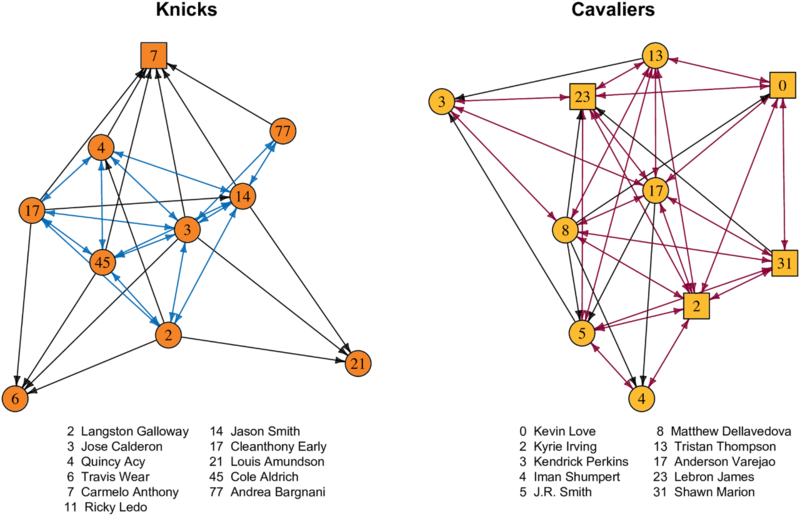 UC anthropology professor Jeremy Koster examined the relationships of 330 players on 30 NBA teams who used the social network Twitter during the 2014-15 season. The study was published in the journal PLOS One. Koster, an associate professor in UC's McMicken College of Arts and Sciences, found that all-star players such as LeBron James, who led his Cleveland Cavaliers to the NBA finals in 2015, were more likely to follow teammates on Twitter compared to players such as 10-time all-star Carmelo Anthony, whose New York Knicks set a franchise record for most losses that season. According to Koster, such findings are consistent with sociological theories of status, which suggest that members of struggling organizations can suffer declines in esteem as a result. In the case of elite performers like NBA superstars, the risk of losing status may be especially acute given that the team’s fortunes depend largely on their contributions. “On losing teams, distancing themselves from teammates may be an attempt by superstars to escape some of the responsibility for the poor performance,” Koster said. By contrast, among NBA players without All-Star experience, there were few differences in the probability of following teammates across the range of team performance. For the study, Koster worked with co-author Brandy Aven, a professor at the Tepper School of Business at Carnegie Mellon University who studies organizational behavior and theory. In light of the potential declines in status incurred by elite players, underperforming organizations might need to temper expectations that their superstars will unify the team and lead a resurgence. “For individuals, their identity and status partly reflect the prestige of their groups, so until the performance improves, superstars may be reluctant to be associated with the team,” Aven said. For future studies, the authors note that it would be valuable to have data over time in order to see how overall performance varies as team cohesion improves or declines. “If the team’s Twitter networks reflect broader aspects of coordination and interpersonal relationships on the team, then we would expect greater success as we see more cohesion around their leaders,” Koster said. Learn more about UC's undergraduate, graduate and certificate programs in the Department of Anthropology or explore the university's many other degrees and programs. Tour the campus and apply today.